Welcome Refugees: second cohort start classes from Sciences Po on Vimeo. 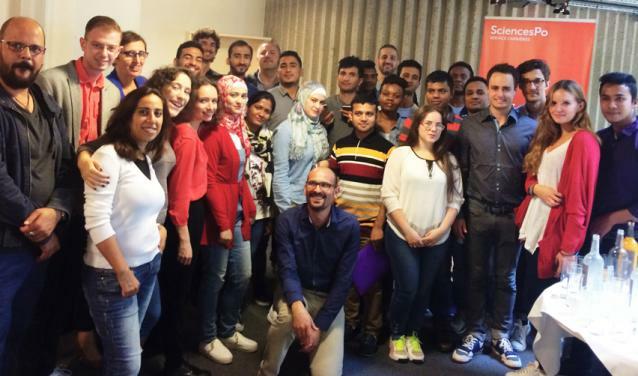 Building on the shared success of the first cohort, Sciences Po, in partnership with the association Wintegreat, is welcoming a new class of 20 refugees on its Parisian campus. The students are refugees or asylum seekers, aged from 21 to 36, from Syria, Iraq, Bangladesh, Afghanistan and Kenya. They have all had some higher education and have a good command of English. Some already had an occupation—dentist, graphic designer or engineer—before leaving their country of origin. The new students will take 21 hours of classes per week for one semester, to refresh their French and English, build up their cultural and historical references through dedicated courses, review their skills and redefine their plans for the future. They will be supported in this by a buddy, a coach and a mentor, each with specific roles, to redefine a career plan and put it into action as effectively as possible. 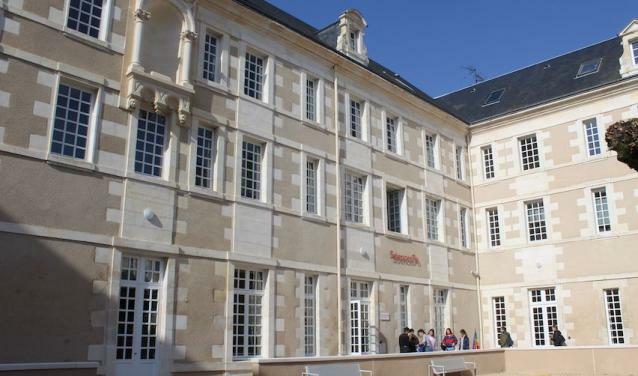 The history classes and the cultural reference classes, which aim to provide a better understanding of contemporary French society, politics and culture, will be taught on a voluntary basis by Sciences Po faculty. In particular, the head of Sciences Po's History Department, Pap N'Diaye, will offer a series of history classes designed for these students. All Sciences Po activities are open to the refugee students. They can register for all the events organised by Sciences Po, the library, more than 60 sports classes and the Law School Clinic MIGRATIONS, which supports the refugees with legal advice and counsel. 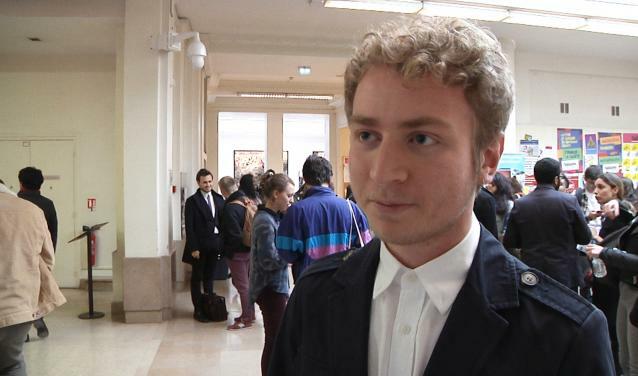 The “Welcome refugees” programme at Sciences Po was initiated in March 2016 by a student association in conjunction with the Office of Academic Affairs at Sciences Po. In March, Sciences Po welcomed a first cohort of 16 refugees, aged between 20 and 40, from 6 different countries—Syria, Afghanistan, Pakistan, Bangladesh, Albania and Sudan. The students took courses in French and English from March to June 2016. Conversation workshops were organised with participation from Sciences Po staff, and students on the "Welcome Refugees" programme were paired with other students to help them acclimatise to French university and culture. Eight of them were able to attend both sessions of the Summer School in June and July, with 70 hours of French as a Foreign Language (FLE) per session. Seven students from the first cohort (four at the Undergraduate College and three at Master's level) are now enrolled in courses at Sciences Po in English and/or French in the social sciences and languages, in the same way as exchange students. This year will give them the opportunity to get used to Sciences Po's teaching methods, test their academic level and earn credits. 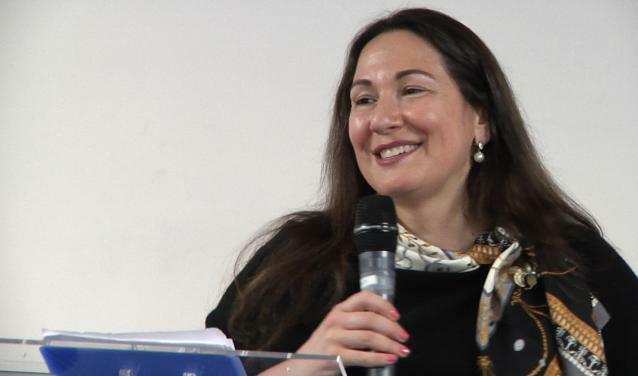 The academic transcript from the year will facilitate the continuation of their studies at Sciences Po or another higher education institution. Louay Al Sheikh and Rana Ahmad were students in the first cohort of the “Welcome refugees” programme. They are now exchange students at Master’s level at Sciences Po. For the 2016-2017 academic year, Louay will continue his studies at Sciences Po as an exchange student. He will study alongside other students at the Sciences Po Paris School of International Affairs, and will take courses in economy & globalisation, negotiation & diplomacy, Emerging economy, along with French and English classes. Rana Ahmad is 30 years old and moved from Syria to France in 2015. Rana holds a Bachelor’s degree from a Syrian university and she wanted to continue her studies in France. Unfortunately, she could not attend classes at a university because of an insufficient command of French, and also because she was too old to apply for a French scholarship. Rana also talks about the connections she made outside the classroom. “The conversation workshops with Sciences Po students and employees were very useful, and my buddy at Sciences Po helped me a lot too. He helped me understand life at university and the education system in France. Rana will spend the 2016-2017 academic year as an exchange student at the Sciences Po Paris School of International Affairs taking courses in international relations and diplomacy. “One of my objectives is also to do theatre. I am sure that it could help me improve my French and be more self confident”. Read an interview with Alyette Tritsch, the student behind the Welcome refugees programme at Sciences Po. Every year, the Alliance Program between Sciences Po, Ecole Polytechnique, Columbia University and Paris 1 Panthéon-Sorbonne organizes the Blockchain Innovation Challenge, a competition that rewards ventures that link blockchain innovation and social impact. 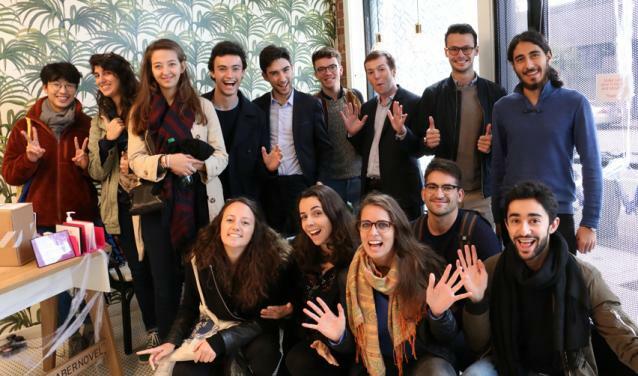 This year, the startup Meditect, representing Sciences Po, took home the grand prize. We interviewed co-founder Romain Renard, a graduate of the Master’s Finance and Strategy.